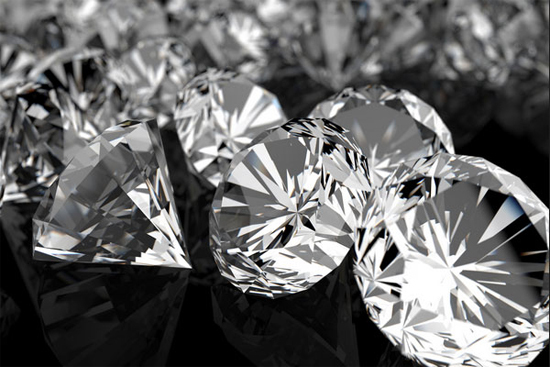 Value – it’s a bit of a laden word, wouldn’t you agree? We all want it, from the cheapest to the most expensive items we buy. But how do you define it, or measure it? What are your products and services actually worth to your customers? 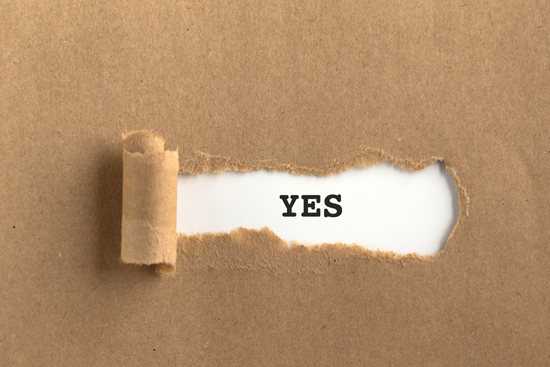 Surprisingly, few business service providers are able to answer those questions. But the ability to pinpoint the value of a product or service for your customers has never been more important. Customers – especially those who are cost-driven – increasingly look to purchasing as a way to increase profits and therefore pressure suppliers (that’s you!) to reduce prices. To convince your prospects to focus on total costs rather than just on the acquisition price, you need to have a real understanding of what it is your customers value. The sixth and final stage of my Sales Growth Framework is ‘H for Harnessing the Value’. It’s all about demonstrating value at every point along the way of the sales cycle, giving you valuable advice on how to turn a lead into a customer. It used to be the case that you could genuinely meet someone, for the first time, that you had never heard of or seen before. Or you could head along to an interview for a company, just relying on information picked up from friends or newspaper cuttings in the library. Nowadays, we all (yes, that’s all of us) madly google it – be it a tourist attraction, a driving route, a prospective employer, networking contacts, even ex boyfriends and girlfriends – before we encounter it. We’re there with the information to hand, we’ve ‘done the research’. And when it comes to buying your next gadget, that ideal beach read, your car insurance, then being well-researched on price, looks and longevity is no exception. We also need to believe in the value we’re getting from our choices. When we turn to buying goods and services for our work environments we then behave increasingly as we would at home. We shop around, we do our research, we look for the value – all before we’ve even ventured out the door. So this means that your sales teams should be aware and armed with the knowledge that their prospects are already going to be informed about your products and services before you meet them. It might be the wrong information they have about you, however, but they still have opinions on products like yours. Value. We all want it from the purchases we make, the decisions we take. And your prospective customers are definitely looking for it from you. So how can you deliver this to them? What do you need to focus on so you can harness the value at every stage? Who is your ideal customer, what problems and needs have they got, and what specific value does your product/service bring them? How are you marketing your value, to make sure customers know, trust and like you and your business, and have you in mind when they have a need? What is your sales process, and how does it bring value at each stage, to new and existing customers? Do you know who your target audience is or are you still a bit in the dark? Defining your target customers means identifying the specific needs (or ‘pain points’) and characteristics of people who you believe will buy your product. In the B2C world this can mean creating a profile for end-user customers that includes age, gender, income, occupation, marital status (and family), hobbies and interests. For B2B, the profile includes industry, revenue, location and number of employees. 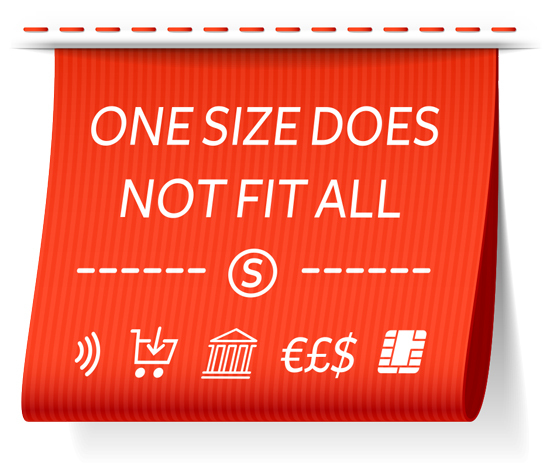 What’s the real problem or pain point that your business solves for customers? Why is your company the best? Test the brand in front of your staff, customers or prospects. Before someone becomes your customer they usually go through a ‘sales funnel’. 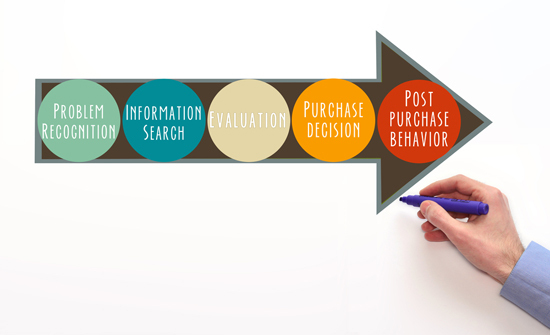 This funnel consists of the different stages a customer passes through before a purchase is made – it covers everything from looking at your website for the first time, to signing up to your email list and reading your emails over a course of time, to talking to a sales team member and deciding whether to buy from you. 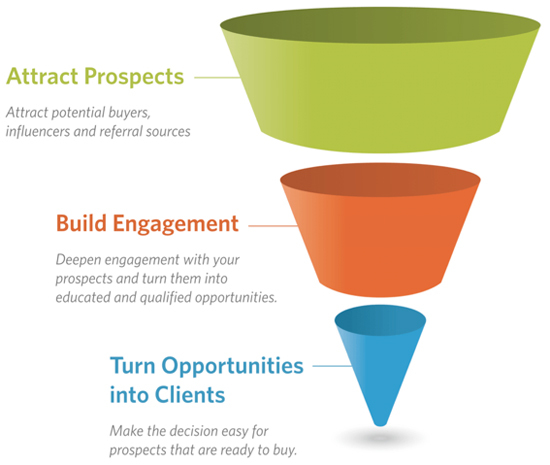 Although it’s called a sales funnel, it essentially sits at the core of your marketing strategy. This is because at any given time, your prospective customers are all at different points in their journeys toward a purchase. It’s Marketing’s role to give Sales the fuel to move them along the funnel toward a purchase. And you need to demonstrate value at every point along the way. It’s the ideal way of demonstrating, too, why Marketing is so vital to your Sales process. It’s all about the influence. Your Marketing team is responsible for drip-feeding ideas to prospects, linking to your webinars, your conference talks, your published articles, adding value at all times. What they are doing is backing up the Sales cycle so that when the Sales team approaches a prospect they are engaged, informed and motivated – all you need do now is complete the influencing circle and allow your customers to come to the right conclusion, to buy from you. 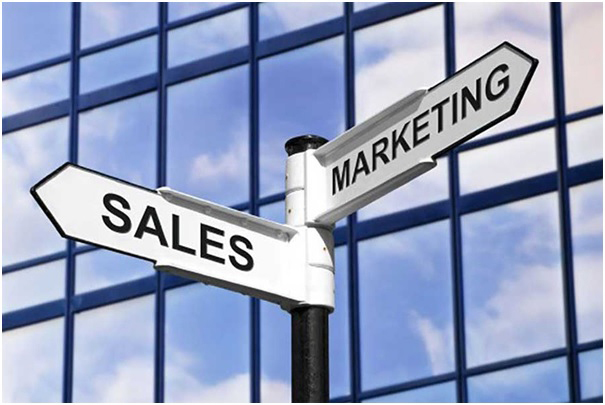 I wrote about the cohesion of Sales and Marketing (‘Smarketing’) at the end of last year on my blog. It may seem like a daunting prospect but the internet has really made it easier for you to connect with customers at the various stages of the journey along the sales funnel. Engaging content which is relevant to them, then strategically placed and always tailored to their experiences is what will help win the business. It’s a challenge, though, to understanding which types of content are effective and which ones aren’t, and how, therefore, to market your value. When you don’t have a complete understanding of who your prospects are, there’s a disconnect created. You don’t want to be putting out content that your audience doesn’t really relate to – and this can then cause you to lose them. As is the case in all marketing disciplines, it’s important to understand your audience: how they think, what they’re looking for, and the path they usually take to find a solution. From that research, you then create a strategy that maps your content output to the various stages of the buyer’s journey. Top of the Funnel: This is the “awareness” stage, where people look for answers, resources, education, research data, opinions and insight. At this point, a buyer is trying to solve problems, get an answer, or meet a need they have. They’re looking for informative content to help direct them to a solution: so they might read a blog post, browse social content, buy a business book. Their value as a lead is low because there’s no guarantee that they’ll buy from you. But those who find your content helpful and interesting can then progress on to the middle of the funnel. Middle of the Funnel: The “evaluation” stage where you build engagement; it’s where people are doing a lot of research on whether or not your product or service is a good fit for them. When you have a prospect move into the middle of your funnel, it means you’ve captured their attention. They know they have a problem that has to be solved, and now they’re trying to discover what the best solution is. The need for a future purchase commitment becomes more real as they evaluate their options. Whereas the awareness stage of the funnel is designed to inform a prospect, this is the stage where you want to show why your solutions in particular are the best fit (and if they’re not the best fit, now is the time to be honest and let the prospect know – this will ensure you keep hold of customers that truly want to buy from you). At this stage, it may well take a while to convert the prospect into a customer: nurturing and building a relationship face-to-face, establishing trust between the audience and your brand – it can take time. Bottom of the Funnel: The “purchase” stage, where you turn an opportunity into a client and where people are working out exactly what it would take to become a customer. The bottom of the funnel is where the actual purchasing decision happens. They’re ready to buy, but that still doesn’t guarantee that they’re going to buy from you. That’s the last choice they have to make: where do they get the solution they’re looking for? Remember, you are providing value at every stage in the sales cycle so it’s just as important to get it right when prospects are about to buy, as it is earlier on in the process. Your particular funnel may look very different to another business’s – factors like industry, business model, product, pricing, and audience can all influence it. And B2B customers may require far more nurturing and relationship development before a purchase is made as the sums of money involved are so much larger than buying, say, a £50 pair of shoes. The key here is to do your research as they will be doing it on you! Only by understanding a customer’s unique process for awareness and evaluation will you be able to create an effective strategy, packed with the right tailored content that best supports their journey toward making a purchase. If you would like to explore how to harness the most value for your sales, then do get in touch at Amanda@salesgrowthexpert.co.uk or call me on 07740 290506.